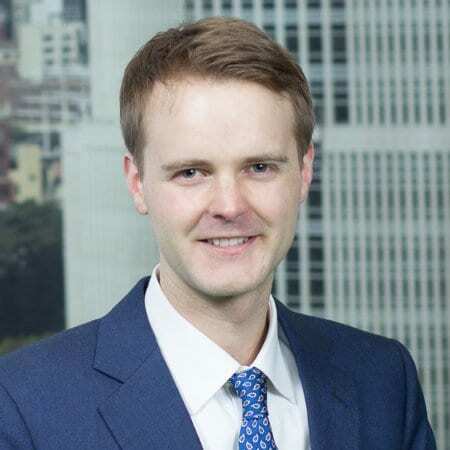 Dr Joe Staines has a PhD in Financial Computing from UCL’s UK PhD Centre in Financial Computing, and is now a quantitative analyst at a large bank owned asset management firm in New York. We spoke to Joe about his transition from academia to banking. I’m both a quantitative researcher and a portfolio manager. Research in the context of our business is faster moving than academia and requires a very different style of communication. Combining research with portfolio management affords insight into the practical application of ideas. Much like how excellent medical research is often done by practicing medical doctors, “quants” can have a foot in both camps: as a practitioner and a researcher. I first found out about the sector by chance. I was lucky enough to have a supervisor during an unrelated internship who recognised that it might be something that would interest me. It took a lot of dead ends to find the career that appealed, and even then the inspiration came from a serendipitous meeting in an otherwise failed summer of work (I didn’t get offered the job, and indeed didn’t want it). Once I was aware of the sector, I applied for entry level roles. This led to more opportunities and meant that my CV instantly stood out. I trusted that a good employer would recognise my contributions and give me opportunities as I proved worthy. This is not a path for everyone, it can feel like a retrograde step to enter a peer group of fresh graduates, but has ultimately worked exactly as planned for me. A normal working day is split between coding, writing, absorbing external research and market data, and the day-to-day mechanics of portfolio management (checking and double-checking everything, attention to detail is paramount). I like the variety of challenges: technical, intellectual, interpersonal. The hardest part is trying to maintain a high standard in areas of weakness, an unavoidable consequence of the breadth of skill-set required. Not essential, but it certainly gives you an edge. It’s a signal to colleagues and clients about how you might be useful. This can be frustrating if you don’t want to be pigeonholed as a technical person. Progression is very business dependent. Responsibility takes three forms: investment decision-making responsibility, responsibility for communication, and management responsibility. The first two are what interest me, so I hope to grow in that direction. Any top tips for researchers interested in this type of work? Quant finance encompasses a wide variety of roles and teams. Be sure that the job you’re being hired for is the one you’re passionate about. Unlike academia, finance doesn’t necessarily prioritize innovation. Doing simple things well and minimizing error and risk are paramount, so prepare yourself for a shift of mind-set if you’re interested in making the switch.